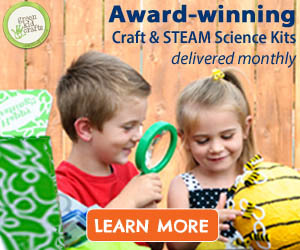 Summer is a great time for new craft and science projects isn’t it? Today we’re combining our love for insects with a fun electricity science experiment. 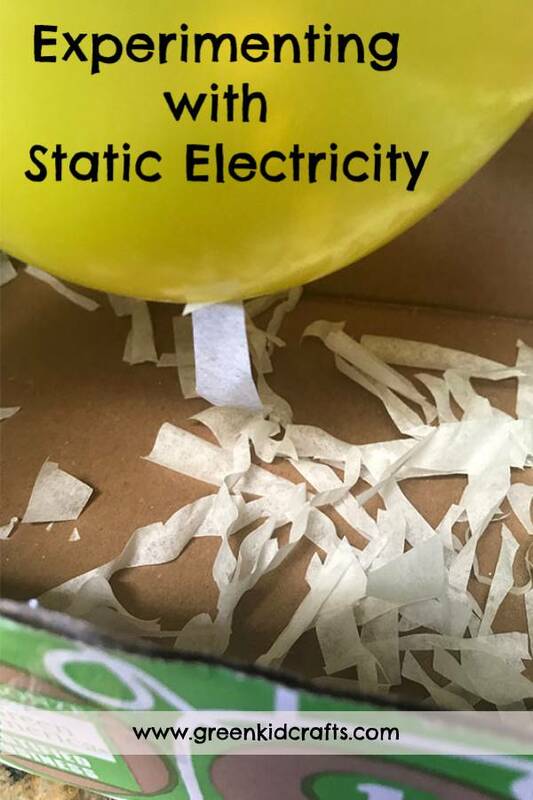 We’re excited to roll out our new Electricity Science Discovery Box to our subscribers, and are doing some experiments on our DIY page to celebrate! I’m from the west coast my kids haven’t experienced fireflies in person. Instead we’ve made our own light-up fireflies using conductive tape and a battery. 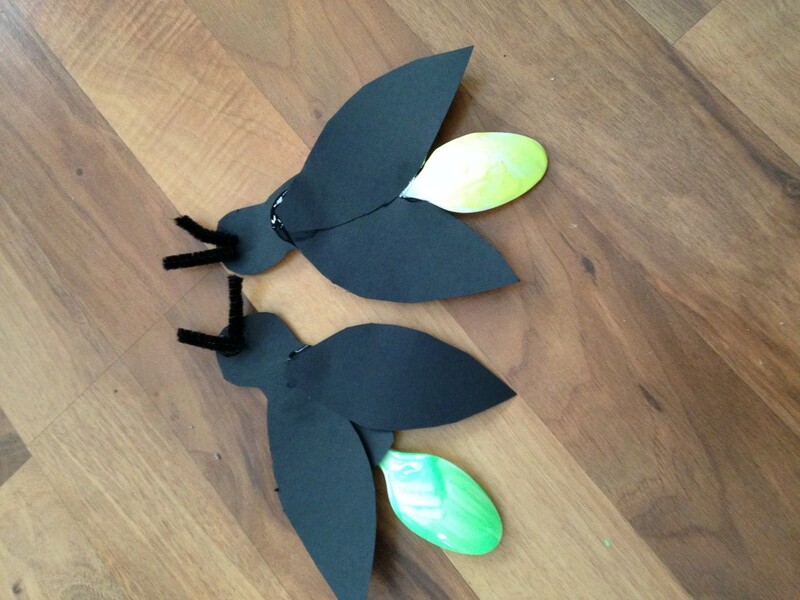 Read below for the full instructions on how to make this cool light up firefly craft. 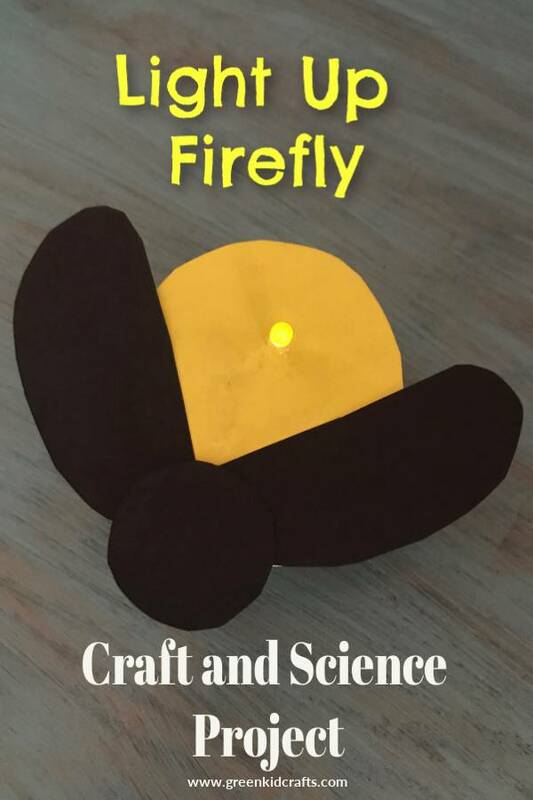 Start by cutting your paper into parts of a firefly. Cut one large oval for the abdomen and thorax areas from the yellow paper. Cut a second large oval from the black paper. Then cut this oval in half to make the two wings. Lastly, cut a circle from the black paper for the head. Glue all the parts together to make a firefly. Round the winds with scissors. Push an LED light bulb through the abdomen of the paper firefly leaving the light bulb on the winged side of the firefly and the wires on the underside. Flatten the wire prongs on the LED light so they lay against the paper. 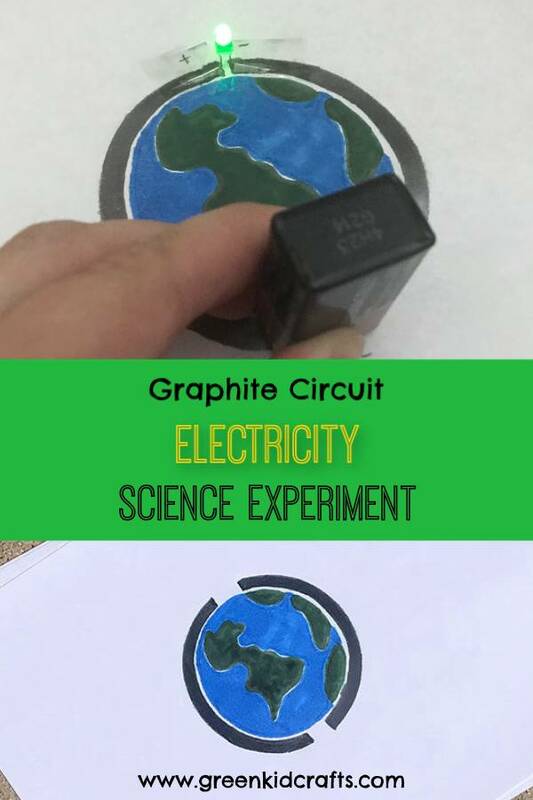 Now it’s time to create an electric circuit. The light bulb has a prong that is long and a prong that is short. 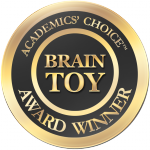 The long prong is the positive side and the short prong is the negative side. Using the conductive tape make two paths, one from each prong. The paths can grow closer and overlap at the bottom. Place the battery positive side down on top of the path leading from the positive prong. Tape the path from the negative prong on top of the battery. Do not let the two paths touch each other. When your battery is attached to both paths your firefly should light up! How does this Electrical Circuit Work? Electricity has the ability to flow from one place to another along a path. A circuit is a closed path from one place to another like a loop. We’re creating an electrical circuit with the conductive tape, light bulb, and battery. The conductive tape acts as a path for the electrical energy. When the battery is placed on the tape, energy flows from the battery, along the path, through the wires on the light bulb, continuing back to the battery completing the circuit. If the battery is removed, the circuit is broken. This is also true if you remove the light bulb. We use the light bulb to show us the electricity that is flowing along the path.